When you think about it, there’s nothing more exciting the airplanes and flight. The fact that humans can enter a huge metal device which then commences to fly through the air and cross the Earth is mind blowing, despite the fact that we’ve all got used to it and take it pretty much for granted. To remind you how truly amazing it is, and give you a bird’s eye view of this immense industry, there’s nothing better than flight trackers. Whether on Google Earth or in your browser, be it a worldwide tracker or just a single flight, these tools give you a true sense of what it is to fly these huge machines through the air, and how many of them there are out there at any given moment. Aside from the perspective they give, these tools also have some practical uses, such as following a specific flight in real time, and knowing where your loved ones are even when they’re out of touch. 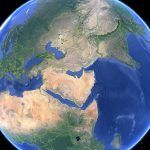 Having Problems Installing Google Earth? 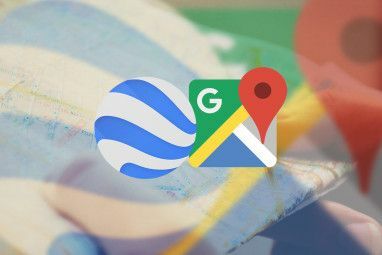 While I did have Google Earth installed many times in the past, it turned out I did not have it when starting to work on this post. Surprisingly, I couldn’t install the newest version on my computer due to a “server side error” that kept popping up on installation. This problem persisted for over a week, so I have reason to believe it might still be around when this post is published, affecting those who want to try the tools mentioned below. After some research, I discovered a way around the bug. To install the latest version of Google Earth, use the direct download links appearing on this help page. This installer should work properly. Flightwise is still a work in progress, but already provides a cool way to track some flights straight in Google Earth. Flightwise currently provides two ways to track single flights: 2D and 3D (Google Earth). If you choose to track in 2D, you get detailed information about the flight, which is very useful, but not much in the way of actual tracking and paths. If, however, you choose the Google Earth option, you’ll get a KML file you can open in Google Earth, which shows you the entire route of your flight. There’s also an option to view live tracking from several major US airports, which is pretty fascinating. Clicking on a plane in Google Earth will show more information about the flight. Note that all these functions are part of Flightwise’s demo website, and are available to everyone. There are more advanced features to explore in Flightwise’s advanced tracking, but this part of the website costs $14.95 per month. While it doesn’t have a Google Earth mashup, FlightRader24 is an impressive web app, tracking flights from all over the world. The website can’t track every single flight out there, but it does show a large percentage of the world’s commercial flights. 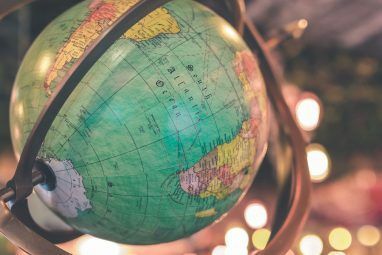 The data is either live or appears in a 5-minute lag, according to the tracking technology, and most of the tracked flights are in the US and Canadian air space. Nevertheless, this is a fascinating place for anyone who’s even slightly interested in flights. Click on any airplane to view more information such as airline, flight number, altitude and more. You can search for a specific flight, and then click the small button next to its name (“AFR065” in the screenshot) to follow the aircraft. FlightRadar24 is also available for iOS, Android and Mac OS X. Very similar to FlightRadar24, PlaneFinder uses the same technology to track flights around the world. The first difference I noticed, however, is how much faster PlaneFinder worked, at least with my settings. PlaneFinder comes with built-in filters you can use, if you’re not interested in every plane out there. For example, you can view airplanes for just one airline, aircrafts flying only at a specific altitude range, etc. You can also search for a specific flight or a specific location. While not being a real Google Earth add-on, the top-most button in a single flight view will download the flight’s path in a KML file, which you can then open using Google Earth. You can even share this specific flight with your friends. PlaneFinder is also available for iOS, Android and Windows Phone. If you follow the news at all, you must remember this story from roughly two years ago. US Airways flight 1549 took off from New York’s La Guardia airport, only to meet a flock of birds head on right after takeoff. The brave pilots proceeded to land the plane safely in the Hudson river, bringing every single passenger home safe and sound. Turns out the amazing yet short journey of flight 1549 is available as a Google Earth mashup, taking you through exactly what happened that day, from the pilot’s point of view. To view this mashup, download this KMZ file and open it using Google Earth. When you play it, you’ll be able to follow the plane’s takeoff, disastrous bird strike and miraculous landing in the river, complete with everything that was going on in the radio. An amazing experience. Want some more flight tracking options? Check out these Top 5 Airline Flight Tracking Websites Top 5 Airline Flight Tracking Websites Top 5 Airline Flight Tracking Websites Read More . The post is from several years ago, but most of the services are still up and running. 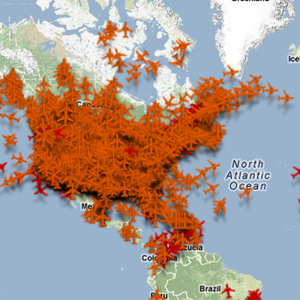 Do you know of other cool flight tracking websites or Google Earth mashups? Tell us about them below. Explore more about: Google Earth, Mashup. I have come to love FlightRadar24 this summer. When we had fair weather or no cloud I spent many hours looking up at the sky knowing so many details about the flights I could see and amazed at the visibility over such a distance being able to see planes over 50 miles away. I was also able to let my dad, a once pilot, virtually fly on board and land in airports he used to land in. It also makes you realise how many are up there and what a logistical nightmare it must be to guide them in to major airports. Full credit to air traffic control. Oh wow, that sounds amazing. I'm travelling these days, but back home my house is just in the landing path for the main airport. It would be amazing to just sit there and know exactly which planes are passing me overhead.